The Recreation Department of Charlotte surveyed the community in November of last year, asking them to respond about their use of the Charlotte beach as well as what community members wanted to see in the next steps for the renovation. The survey had over 215 returns on Front Porch Forum and the results were presented to the select board on November 26th, according to Charlotte News. The results of the survey expressed that the beach and swimming docks are the most utilized aspects of the beach park. 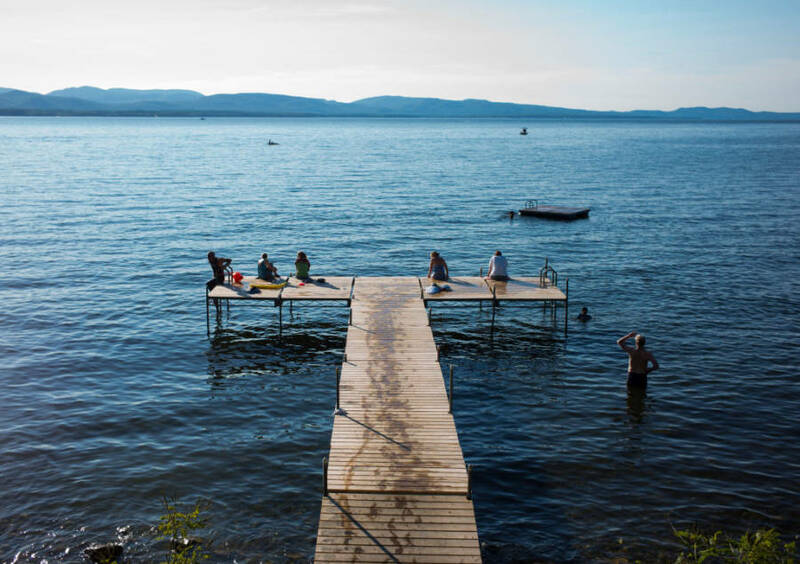 CVU senior Lily Pecor from Charlotte said, “I like the swim platforms the most because I can be there with all my friends.” Charlotte Beach is a popular place to access Lake Champlain, but there is also has a park with many facilities. Another Charlotte senior at CVU, Daniel Bernier, said that aside from the beach, he also likes to use the tennis courts and cookout stations with his family. Over 35% of applicants said it would be ‘Likely’ or ‘Very Likely’ that they would use the playground while attending the beach. The respondents also indicated overall satisfaction with the present facilities at the park and would be open to upgrades to the facilities. According to Nicole Conley, the Recreational Director for Charlotte, a recent donation of forty thousand dollars by a private donor was given to Recreation to upgrade the playground. Conley said there are many things that the Recreation Department wants to do with the beach, but that “we want to start small, work on the playground, and expand from there.” According to Conley, the beach practically pays for itself from beach fees, so Recreation has to be conscious of money and take what they can get.